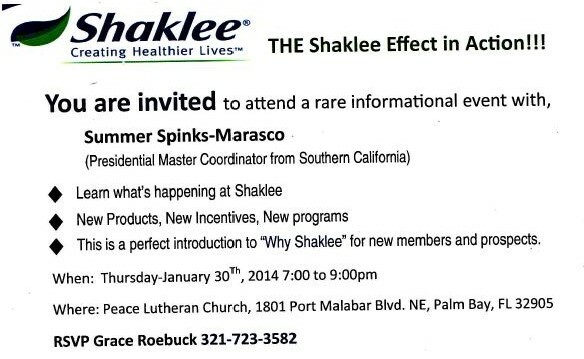 If you’re in Florida, or know someone who is, you can join us at this Shaklee event next month. I am a member of your group living in Florida. I am so glad you will be in a meeting close by. I am looking forward to meeting Summer, and hopefully become more acquainted with this fine group.